Whether you’re old school and buy physical CDs or a digital downloader, you’re in for two courses of video game rock ‘n roll goodness! 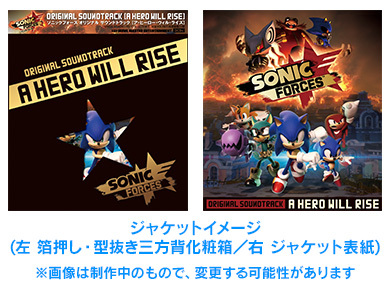 SEGA announced Thursday on Sonic Channel, the Japanese website revolving around the Blue Blur, that they will be releasing a 3-CD soundtrack of Sonic Forces in both digital and physical formats. A Hero Will Rise, will supply you with 87 glorious background songs such as “Sunset Heights” and “Ghost Town” courtesy of Tomoya Ohtani and the London Symphony Orchestra. This instrumental-vocal combo disc is going for ¥4,167 ($37.12). On The Edge, an exclusive vocal album, features, as the name suggests, 14 vocal songs including smash hit themes “Fist Bump” and “Infinite” for a great low price of ¥1,200 ($10.69). 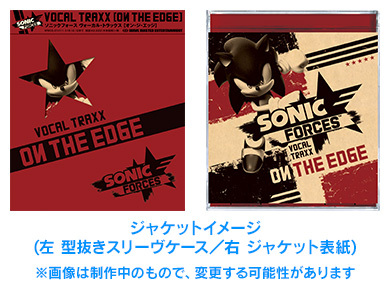 Sonic Forces Original Sountrack – A Hero Will Rise and Sonic Forces Vocal Traxx – On The Edge release in Japan December 13th. Don’t let the fact that the CD’s are Japan-exclusive discourage you. You’ll still be able to buy them off Amazon or stream them on Spotify. Sonic Forces releases Nov. 7 (Nov. 9 for Japan) on the PS4, Xbox One, Nintendo Switch and PC. Pre-order now.